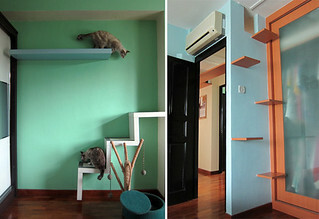 HomeAll PostsSingapore cat owners, the clock starts now. 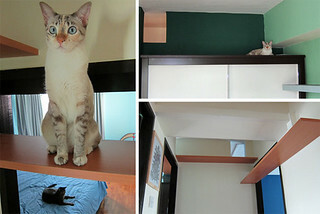 Singapore cat owners, the clock starts now. With the cat ownership pilot kicked-off, the real work begins now. 1) Registration for all pet owners – dog, cat and rabbit. 3) Central microchip database for all pets in pet shops and homes This pilot takes a major leap in embracing these recommended practices. The clock starts now to register all Chong Pang cat owners by Jan 2013 to conduct rigorous screening of new and existing cat owners to ensure that all the pet cats are microchipped * It's a monumental undertaking. The clock starts now to reach out to all Chong Pang residents. There are 123 blocks in this pilot. 1 and a half blocks per day every day to outreach to by the end of 31 Jan 2013. 1 and a half blocks per day every day for registration follow ups by the end of 30 Apr 2013. 6 and a half blocks per month to fully resolve issues by end of the pilot. * There will be cat owners who need help. The clock starts now for Cat Welfare Society and caregivers to seek out and render help to low-income cat owners in Chong Pang. * There will always be cat owners who are simply recalcitrant. The clock starts now for animal welfare groups and government agencies to establish effective measures to deal with recalcitrant cat owners. for animal welfare groups to find a way to save the poor cats from these recalcitrant cat owners. * Are you ready when cat ownership comes to your estate? The clock starts now for all Singapore cat owners to start heeding the ownership conditions and to help friends, relatives and neighbours heed the ownership conditions. * We need your help to beat the clock. Your time, passion and energy can make all the difference. Chong Pang Outreach Please join the Chong Pang outreach team by indicating your availability on weekdays and weekends from 27 Oct 2012 to 30 April 2013. Online Outreach Please repost, email, sms, post on english, chinese & malay forums about LOVE CATS – Pilot Cat Ownership Project in Chong Pang to outreach to as many people as possible! Let's make this pilot a refutable success! The case in the news recently about a dispute of ownership over a cat was closely watched over by the Cat Welfare Society because of the wider implications for rescuers who often pick up cats that are abandoned or lost from the streets for treatment, sterilisation and/or rehoming. Based on the circumstances, condition or breed of the cats, rescuers make a variety of decisions about what actions to take for the welfare of the cats. It would have implications to them if anyone could easily make claims of ownership on a cat. SG50 – 50 Meow Fundraiser – 100% SOLD! 100% SOLD! "50 Meow Project” is a collaboration project of SlothStudio and Cat Welfare Society. The proceeds helps support cat sterilisation, caregiving and mediation efforts. Thank you for all the support and generousity! To commission a cat portrait, please email [email protected] for more information.